In what is clearly one of the most bizarre and potentially tragic stories today, Coconuts Bangkok reports that 13 teenagers in Thailand’s Northeast province of Mukdahan dug up a dog that was buried and ate it, not aware all along, the animal was put down by officials because it was rabid. 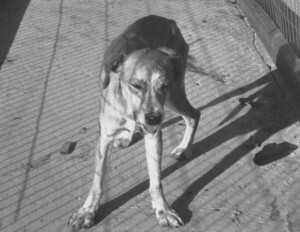 The dog was killed because it had attacked a number of locals recently. The report notes that the teens were sent to Mukdahan Hospital for rabies post-exposure prophylaxis (PEP). Eating dog meat is considered taboo in most of Thailand. There are times when I think we do more than we should. Cases that are so repugnant you don’t necessarily want to be the guy who did it. For me this is def one of them. Taboo anyway as I read it. One word.